Poet and activist, Audre Lourde said "Caring for myself is not self-indulgence, it is self-preservation, and that is an act of political warfare." 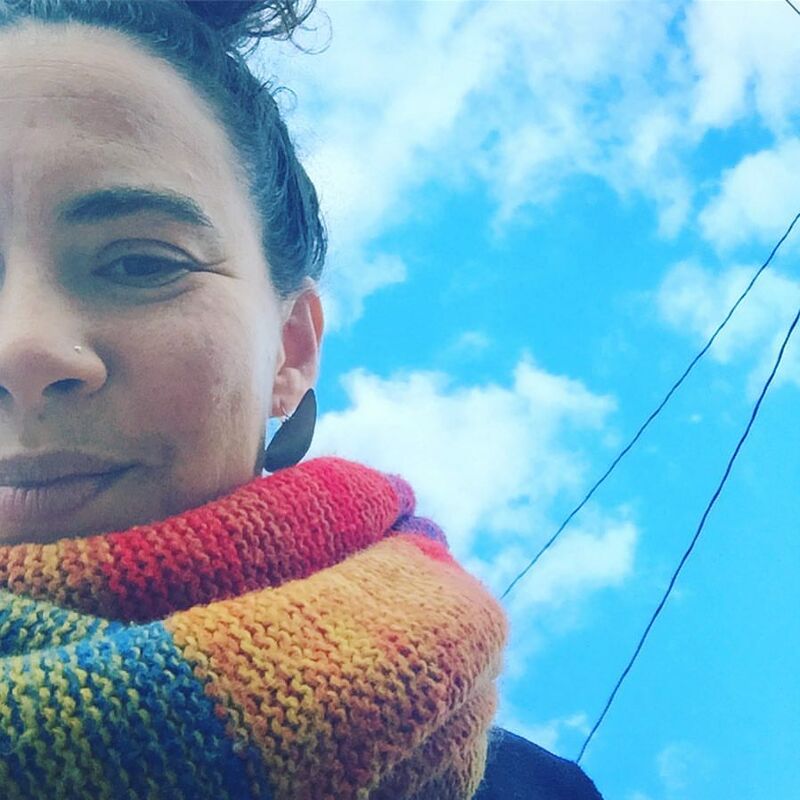 While I'm not Audre Lorde, or a queer Black woman, for those of us who give our lives to activism, social change, or just working incredibly hard to sustain life for our families and community, taking time to rejuvenate and care for ourselves is often low on our list of things to do. 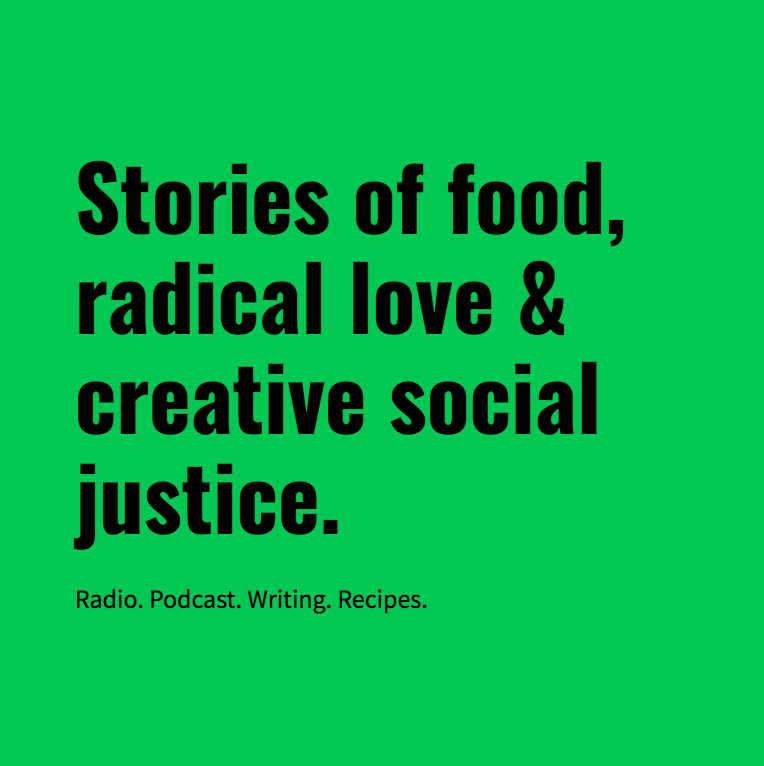 After a few years of over-working myself as a food justice organizer, and raising two kids at the same time, I realized I needed to make some changes and restore more balance and joy to my life. While I'm still (and probably will always be) working on this, I'm grateful this year, to have the means to get away for a few days with my love, and without our kids for the one of the first times in nearly 14 years. 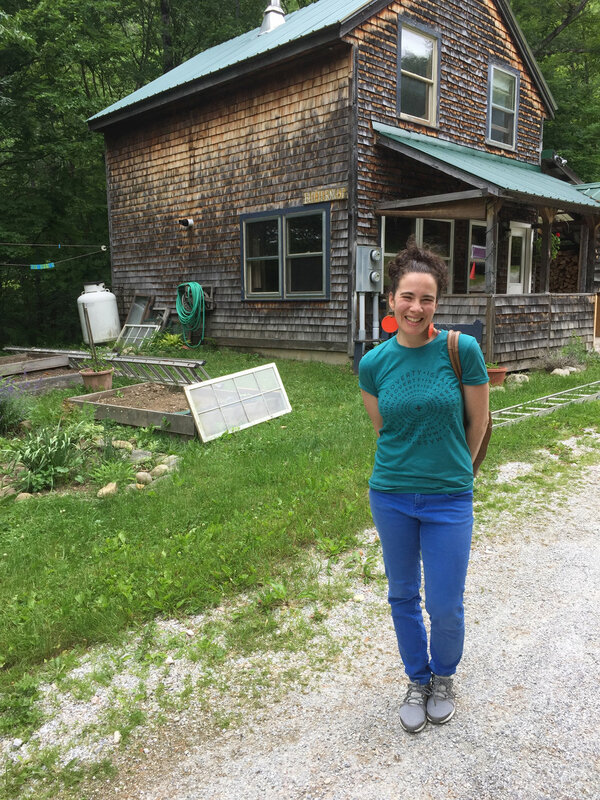 As you can imagine, all my travels seem to revolve around food, even if that's not the intended plan, and this time, we hit the jackpot in Vermont. Yes we went to the whitest state in the nation, and yes we found progressive activist communities, and a wonderful place to rest and eat. 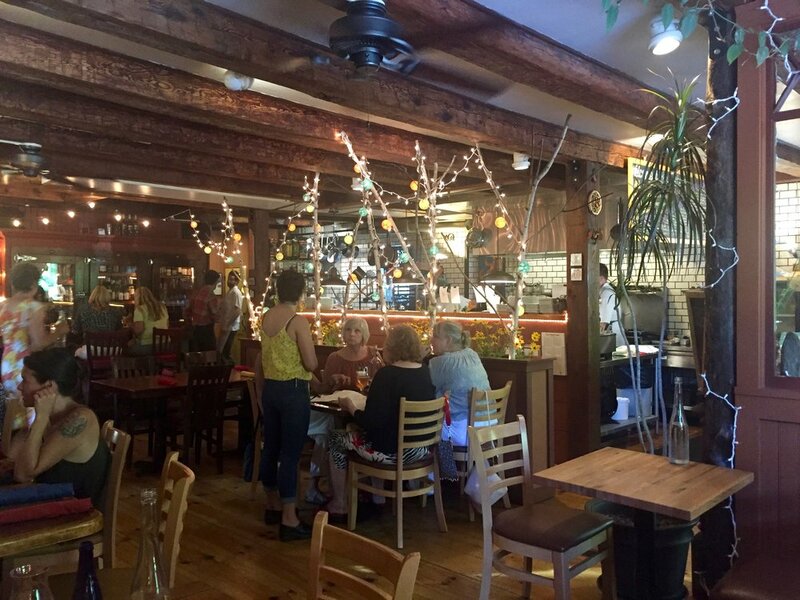 We love Vermont in the summer, with it's lush forests, clear cool lakes, funky cities and great food. The impetus for this trip was dropping our kids at the amazing Farm and Wilderness summer camps, where I also went as a young person. 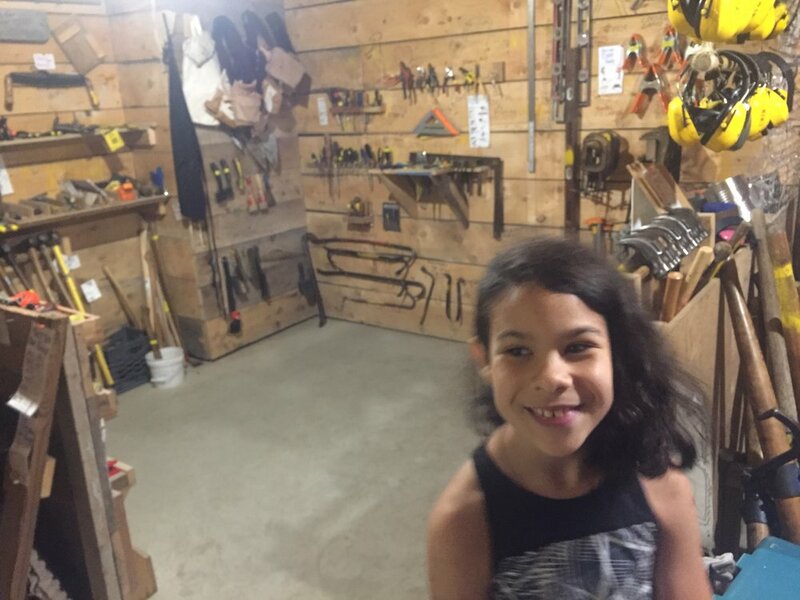 These camps are incredible places to learn self-reliance, deep connection with nature, social justice, living in community and youth leadership. While the camps have a high price tag, they have a great scholarship fund, so check it out if you are interested. One of my proudest experiences there as a youth, was building a house with a teen crew over two summers (picture below). I was also trained in facilitating consensus based meetings for adults and kids, starting at the age of 11, and helped run a massive country fair for thousands of people at the age of 16; skills that have helped me throughout all my business and activism work. To say I'm grateful for these camps, and that my children are able to attend them as well, cannot be overstated. Our first stop was a B&B near the camps, for one night before dropping our daughter off at camp for the first time. 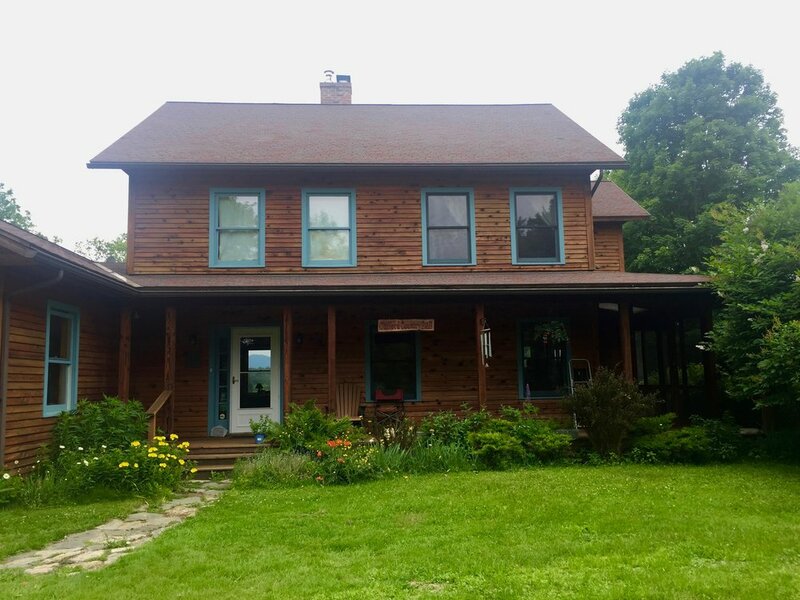 We stumbled upon quite a gift in finding the Clifford Country B&B and the owner Emily Jackson. I knew it was a good fit when I called to make the reservation and she informed me she would be making sourdough waffles for our breakfast. A single room for two adults and a cot for our daughter was $102, and if we had needed two rooms with a shared bath for all four of us it would have been $155, including breakfast. The house is Emily's childhood home, built by the family's own hands, and is surrounded by fields of wildflowers, and her fabulous wildly packed garden. 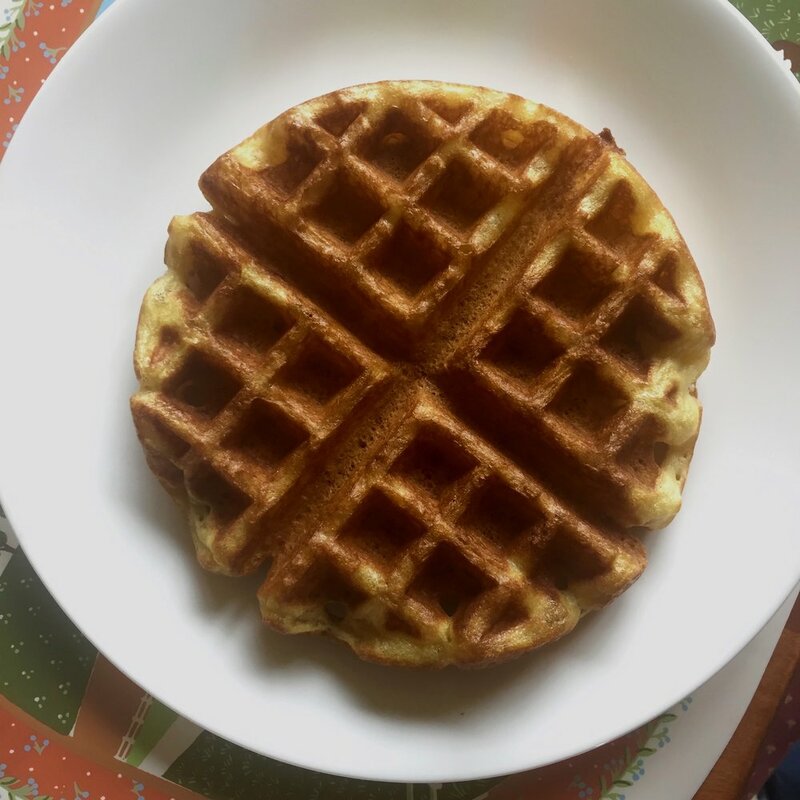 We spent hours talking about plants and fermentation, as she served us water kefir, and a Norwegian drinking yogurt, in addition to the waffles. I had never heard of water kefir, a fermented drink similar to kombucha (minus the caffeinated tea), which ferments using probiotic grainuals rather than a large scoby. To top it all off, Emily drove us over to visit the cows at the small dairy farm down the road to pick up her jar of fresh raw milk for our morning breakfast. 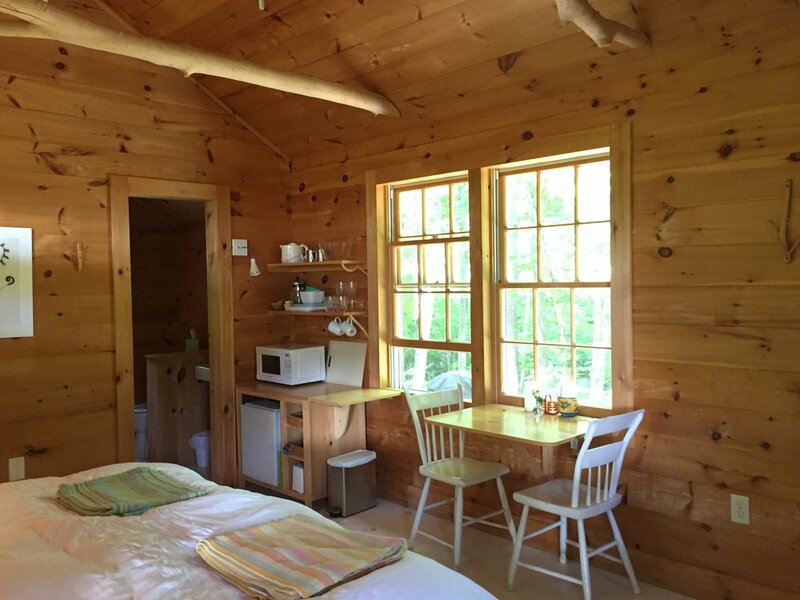 Emily's B&B is near the town of Ludlow in southern Vermont. Some other things to do near by are: visiting Buttermilk Falls where you can swimming in one of the many natural pools, and hang out on the rocks, or take a tour of the Crowley Cheese factory to sample excellent raw milk cheddars. The main street in Ludlow also has a number of great little restaurants. We usually pack a picnic lunch when we are in this area, so the only one we've tried is tasty woodfired pizza at Goodman's American Pie...but there are a number of others people like which you can check out HERE. On our way to the camps we stopped at The Green Mountain Sugar House and enjoyed a fabulous VT classic, Maple Creemee soft serve made with real dark maple syrup. I've had this from a few places, and this was by far the best one I've sampled. Check out this wonderful video about their family maple operation and creemees. 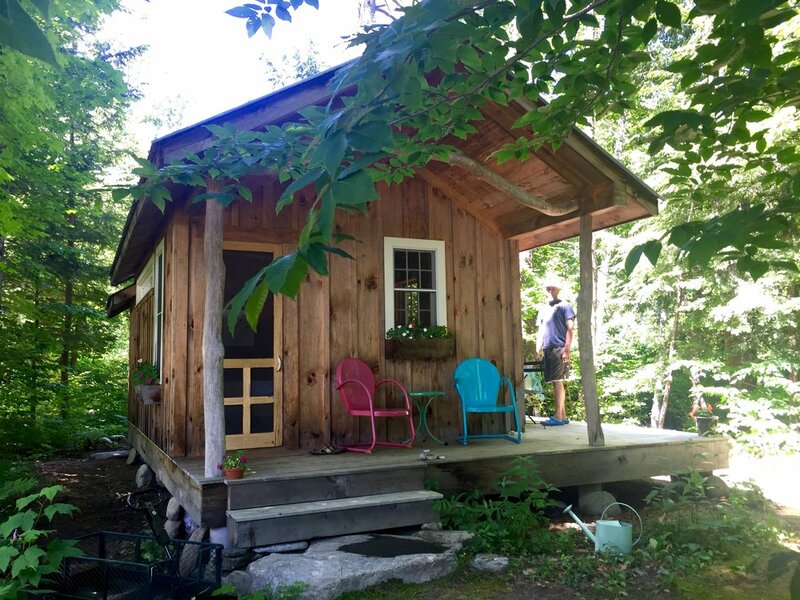 Our next stop was a little cabin on a rock river 20 minutes northwest of Brattleboro, VT. Chris and Carol are native New Yorkers, graphic designers, artists, and a lesbian couple who moved to Vermont 30 years ago. They bought a little house by a beautiful rock filled river and have slowly renovated it over the years. The result is an impressive design studio, Rock River Studio, for their work, and this gem of a cabin complete with rocky beach paths, two fire pits and two hammocks. Chris and Carol were fabulous hosts, and we loved all the thoughtful details throughout the cabin, including the wagon by the parking area and the lit path to the cabin. The beautiful modern one room cabin had a comfy big bed, a very nice bathroom, a tiny kitchen area (you use the bathroom sink for water and washing, and it worked well for us). I loved the little gas grill at the edge of the trees where I grilled most of our meals, and fried up some eggs in the cast iron skillet...even while it drizzled. We ate on the wraparound porch and also down by the river. 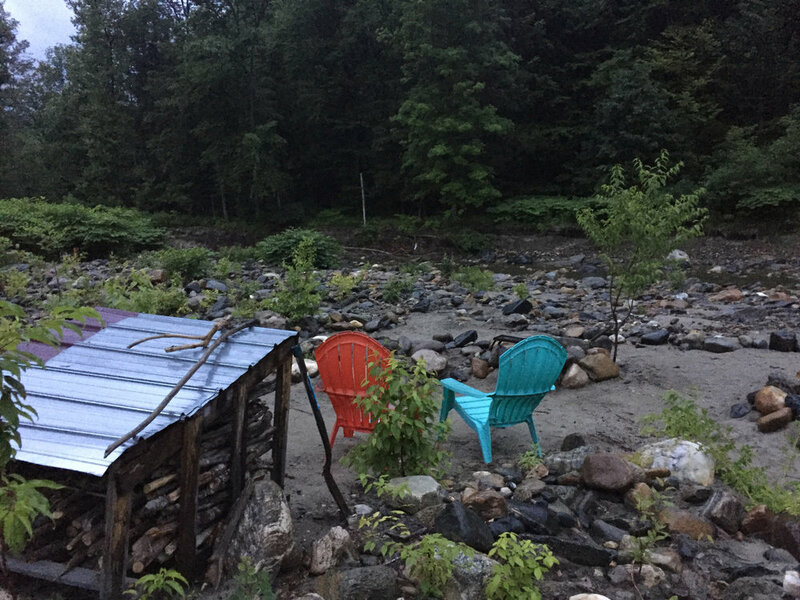 While the cabin is near their backyard, it is tucked into the woods, only yards from the river, and there was plenty of privacy. 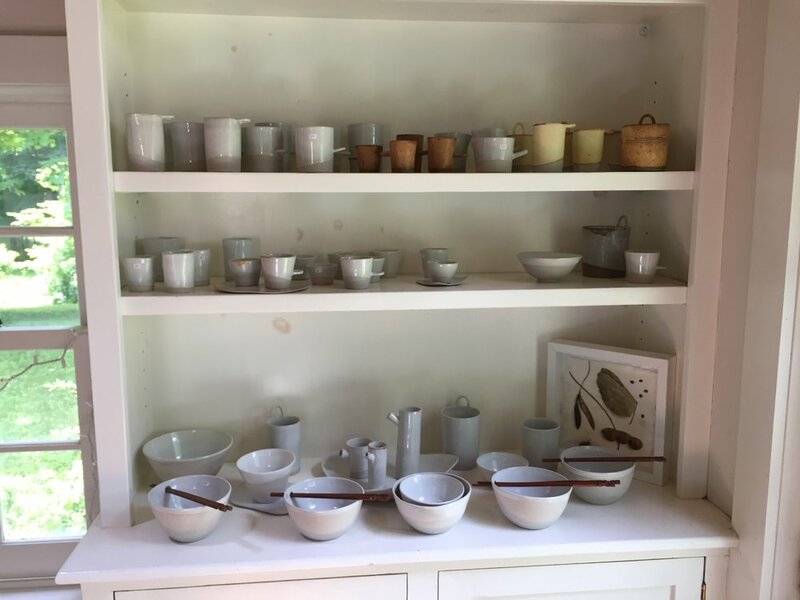 On our last morning, we enjoyed a wonderful breakfast with Chris and Carol on their sun porch (complimentary and optional of course), complete with fresh popovers, great conversation as well as a visit to their home studio to view their ceramics and photography. Just up the road from the rock river cabin, is the Williamsville Eatery. 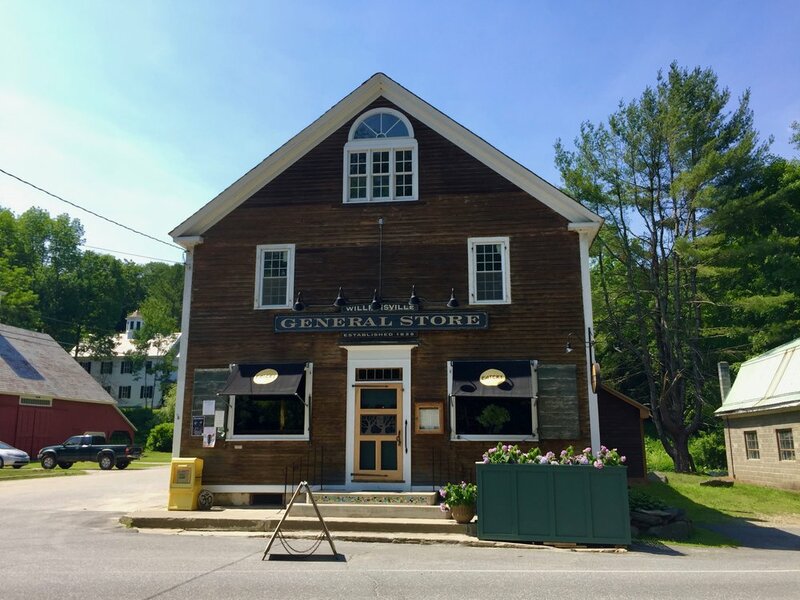 An exceptional, family owned, true farm-to-table restaurant in a recently renovated general store. The restaurant is a family affair with son Dylan Richardson heading up the kitchen in partnership with his father Glen who also runs the front of the house...and mom Lauri was there waiting tables on the night we arrived. Dylan had worked in the store as a teen, and has considerable restaurant experience, so when the owner of the former general store approached him after closing the 185 year old store...Dylan and his father came up with a plan to turn it into a restaurant and serve up the local farm and garden based food they love to cook at home. The respect for history and ingredients can be felt throughout the space and the menu, and it comes together with ease, and without an ounce of pretentiousness or kitch. Thursdays and Sundays are pizza nights with a creative assortment of local toppings and an impressive selection of beers and drinks. Friday and Saturday are a full restaurant menu. I have to admit, seeing tacos and tofu on the menu turned me off at first, but this is not your average restaurant, and the flavors and range of ingredients was a surprise and a delight. The burrata cheese plate with knotweed chutney, sprouts and shaved fennel salad served with crispy edged polenta points was so delicious and well balanced, I almost ordered a second serving to eat for dessert. The pastas are handmade, and we enjoyed a special with emu sausage, that was tender and delicious. The chef, knowing we were going to share the dish, plated it in two servings...a thoughtful touch. The menu offers a good range of meat and vegetarian options and and an impressive list of local farmers they source from, including their own garden and wild foraged items. This is farm to table food done right. 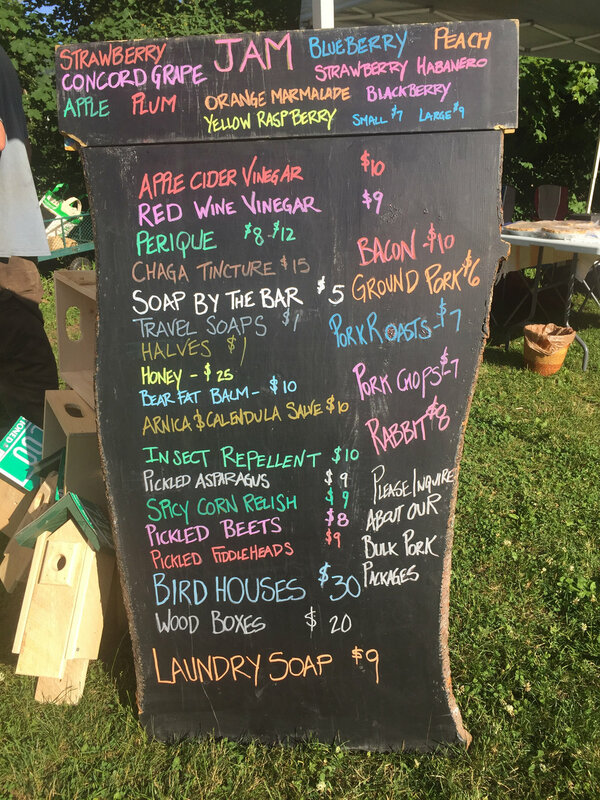 Little farm stands and small community groceries dot the back roads of Vermont. My greatest joy on this portion of the trip (without kids), was to stop at whichever of these little markets my heart desired, with no one fussing that they were tired or begging for every cider donut we encountered. Dutton Farm Stand is located just up the road from the rock river cabin, and there are many others a short drive away. Since we planned on cooking all but two meals on the little outdoor gas grill, I decided a few splurges on good cheese and farm-made condiments would make our meals special, and also be a lot cheaper than eating out. A delicious quart of fresh picked strawberries was like red gold, the raw milk cheddar from the Crowley Cheese Company was purchased for pleasure, not how many lunch box quesadillas it could make to get us through the week, and the container of garlic scape pesto served as a great spread, mix-in for scrambled eggs, marinade and dressing...with no prep time (yay!!) This was all fabulous vacation food...and such a joy to eat! The one thing I didn't find at any of the markets I stopped at was good sour dough bread. 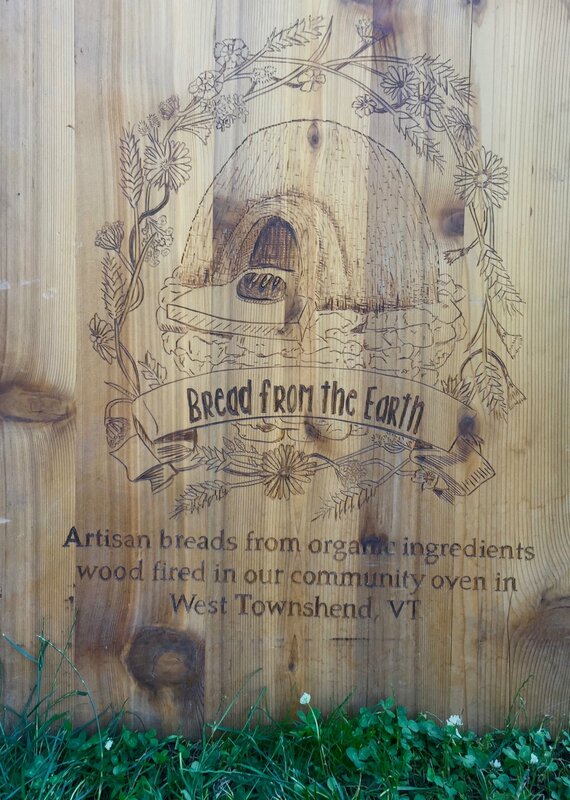 I know there are more than a few serious bread bakers in VT, so started searching the internet for a place near by. I checked the local farmers' markets and came across Bread from the Earth. 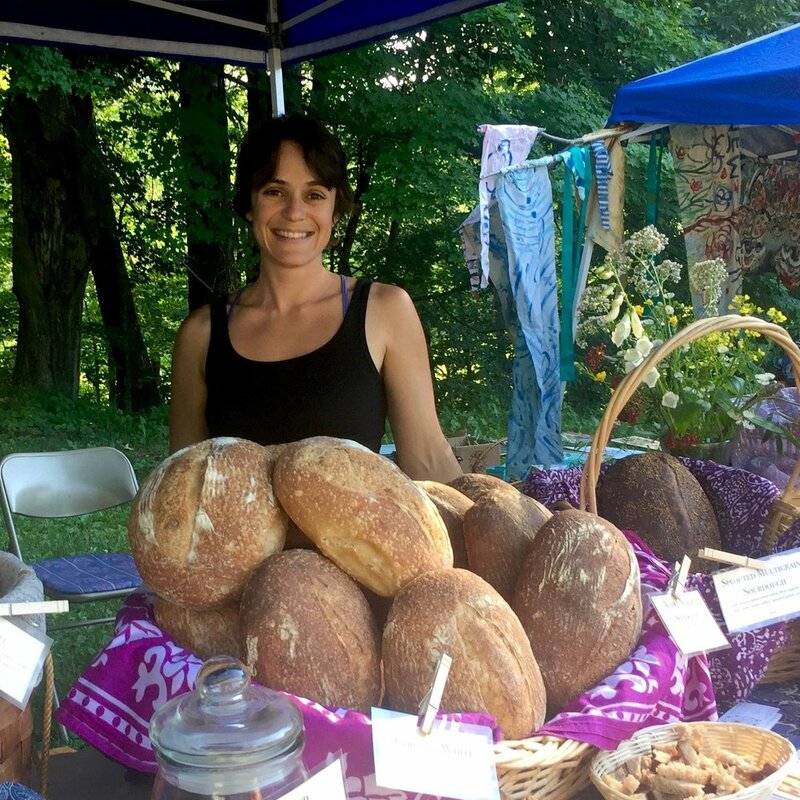 Sarah Schuldenfrei started Bread from the Earth, a fabulous sourdough bread company in West Townsend, VT, where she bakes all her loaves in a wood fried oven she built through a crowd sourcing campaign a few years back. 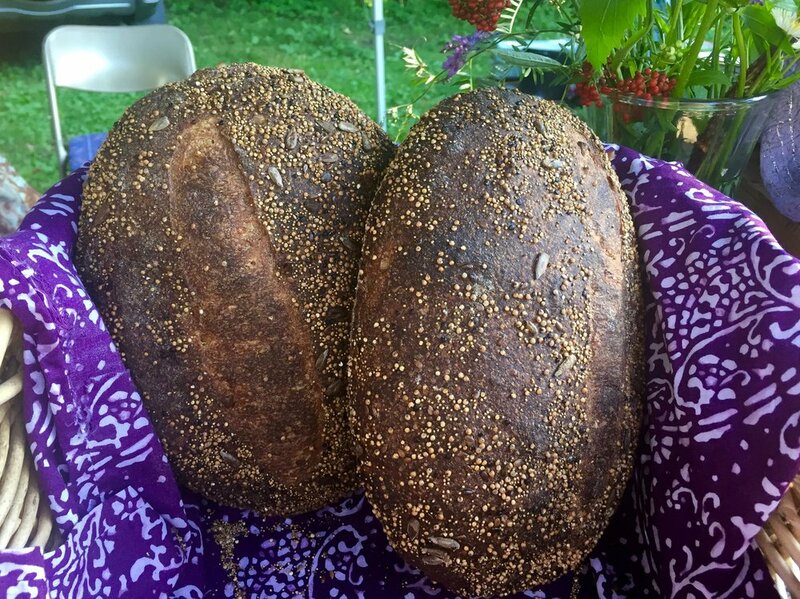 Sarah's bread is dark and crispy on the edges with a lacy and tender inside. Each variety has a distinct flavor and mix of flours. Some of the grain she uses is also grown and milled in Vermont. 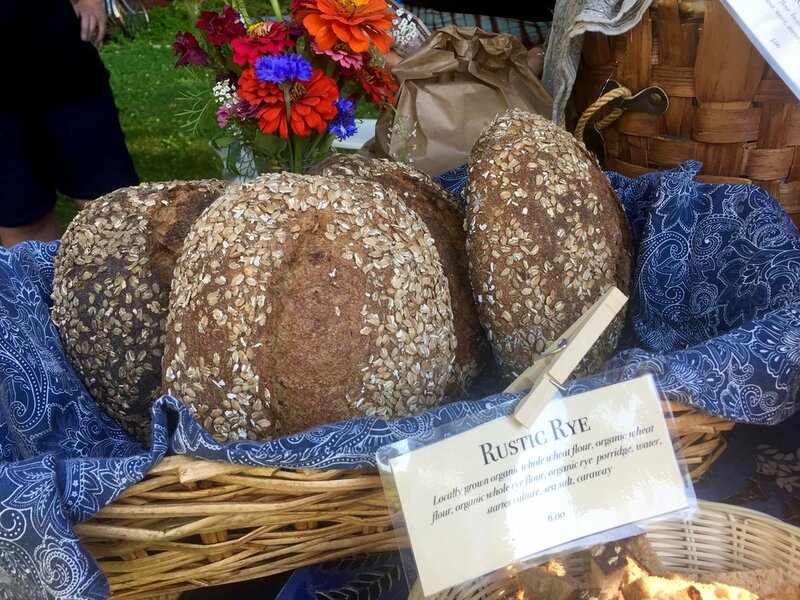 I found Bread from the Earth at the late afternoon farmers market located besides the West Townsend Country Store. 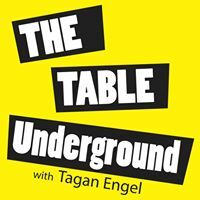 In 2011 this community came together to revitalize their town by moving the post office into the general store, starting a community kitchen in the basement, and hosting this farmers market/Friday night happening. 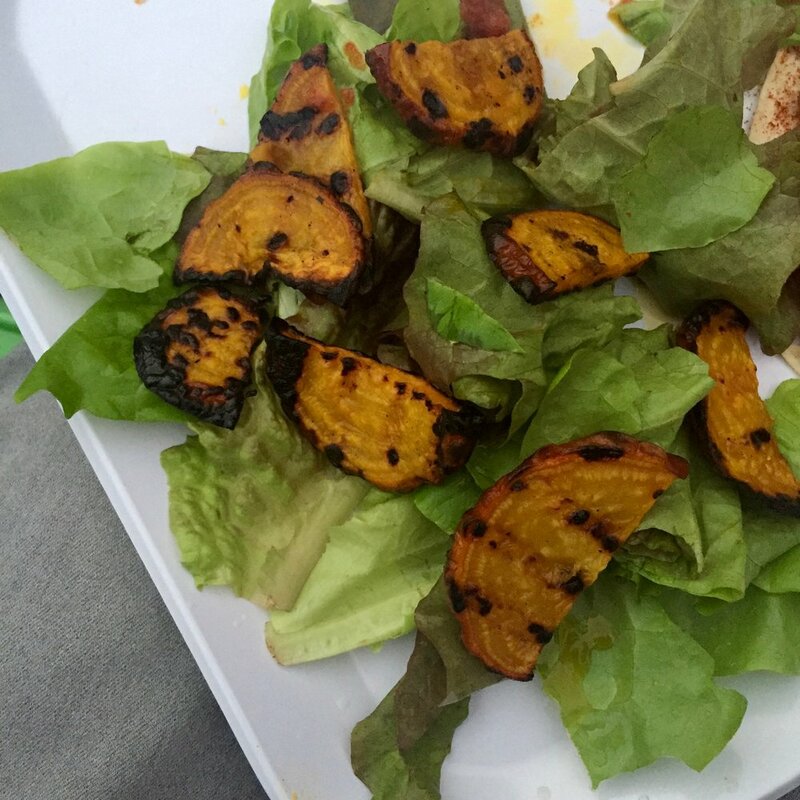 The farmers market centers around the outdoor wood fired cob oven, where locals come to roll and top their own pizzas, and then enjoy them at one of the picnic tables in the center of the lawn. 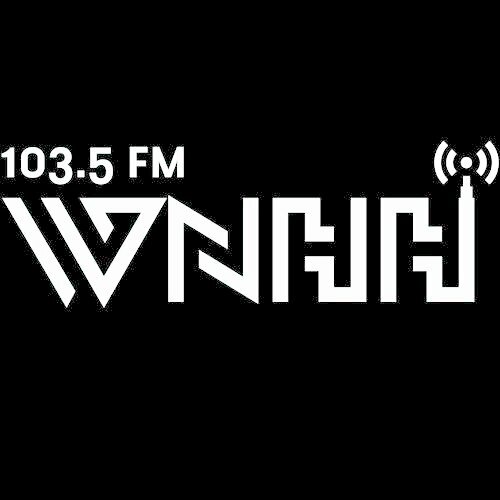 There's live music, veggies, pickled veggies, drinks, glass art, clothing, thai food and more. Bread was my temptation for finding this market, but the naturally fermented sodas from West Townsend Botanicals were a serious bonus. Served up in glass mason jars, the frothy spiced rootbeer, gingery switchel, black birch beer, and fresh strawberry sodas were fabulous, and so refreshing! We got to sample each one before choosing, and talk to the owner about which spices he uses, where he cuts the birch tree shoots and picks strawberries for the drinks. 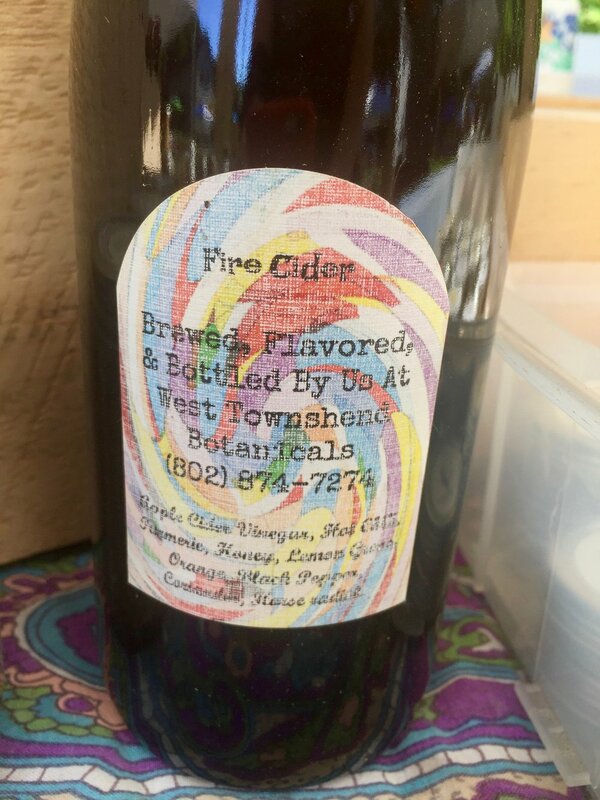 We also picked up a bottle of fire cider to ward off colds and illness and oohed and ahhed over the many jars of pickled veggies. After a dip in the river at the cabin, and a last swing in the hammock, we headed in to the town of Brattleboro, VT for a little more fun on our way home. We spent most of our time wandering through Everyone's Book Store, one of the many independent book stores in town, and ate a delicious lunch at the creative vegan spot Superfresh, where we snagged a spot by the window overlooking the river and waterfall that runs through town. We missed the famed Saturday morning farmers' market with 50+ vendors, but happily grabbed some groceries to take home from the Brattleboro Food Coop. 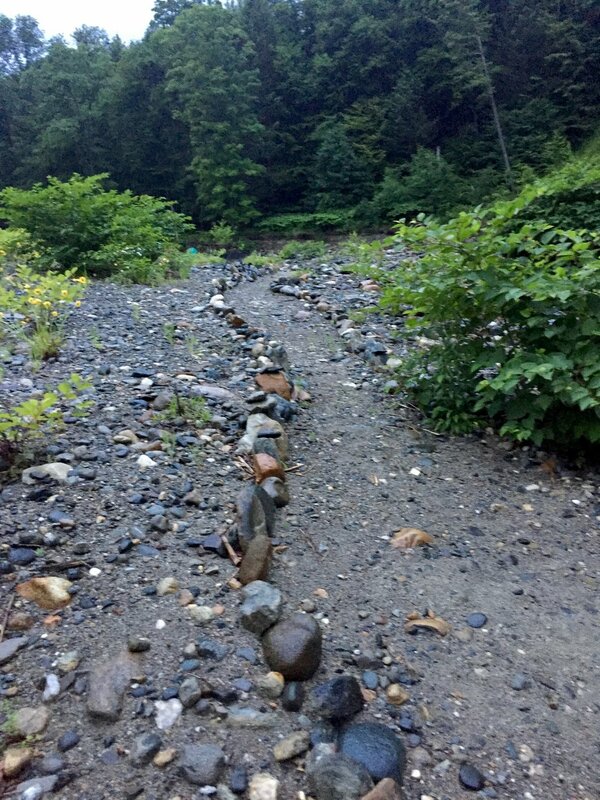 The rest and rejuvenation of just three days in Vermont were such a gift. The grace of nature, kind and interesting people and fabulous fresh food we found along the way filled me with inspiration and joy that lingered for quite some time after we landed back home. I hope you can find some rest and adventure this summer too. Where are your favorite vacation spots and summer food finds?